Explores through mythology and local tales of witches, vampires and water dwarfs, a magical realm of Amanalco’s ethnoscape. Rather than representing an unchanged landscape of beliefs, it melds ideas common to both indigenous and colonial cultural notions to forge contemporary meanings of magical power, shape shifting and soul loss. This also includes discussion of spiritual illness and healing. Nezahualcóyotl is known as an historical figure throughout the nation with his face on a 100 peso bill and a postage stamp. 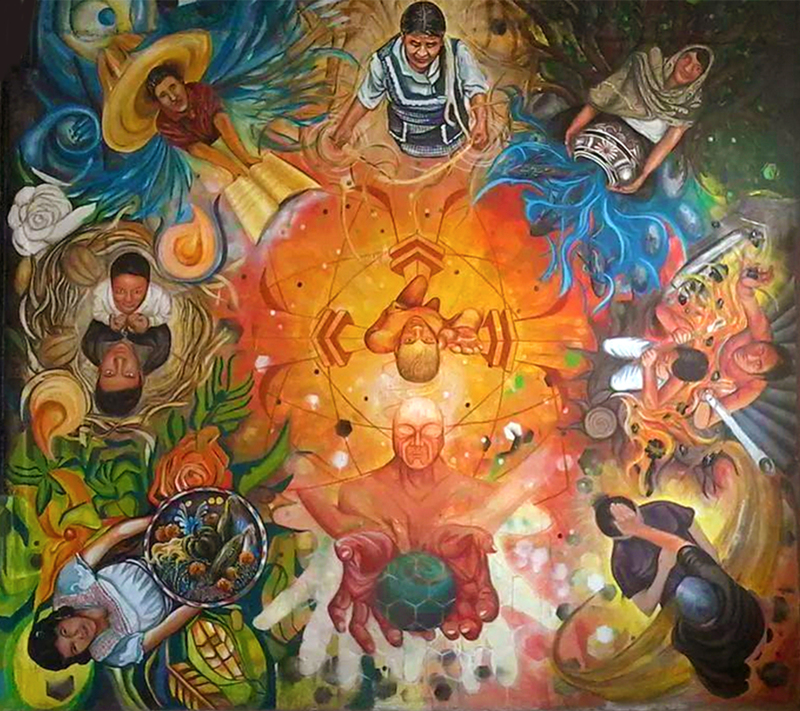 His reputation as a philosopher, architect and poet was largely established through the writings of his descendants Fernando de Alva Ixtlixóchitl and Juan Bautista Pomar who both, after the Spanish conquest, became well regarded bilingual writers and historians in 16th century Mexico. 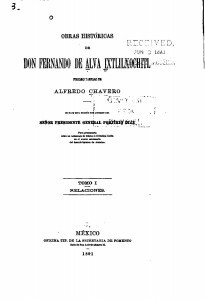 You can access on the web the book, Obras históricas by Alva Ixtlilxochitl. 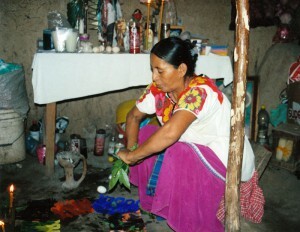 During the first year in Amanalco I acquired some of the basic information distinguishing naguales/ tlahuelpueches, (blood sucking vampires), tetlachiwes (witches), and ahuakes (water-controlling dwarfs). Deeper knowledge would only slowly be revealed. 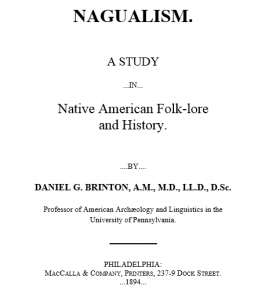 The first modern study of this phenomenon in Mexico was done by Daniel Brinton during his late 19th century research. The idea of shape shifting being associated with spiritual power, healing and sorcery is widely found in many parts of the world. In West Africa among the Igbo peoples of Nigeria, persons known as a certain kind of shape-shifter are represented by a mask called Ochoko, depicted as a sleeping human visage below a figure of a bird in flight. In the following video Oscar Mokeme, an Igbo healer talks about the Ochoko. Added Value: Cross-Cultural Links: Ahuakes and other examples of magical tiny people. In Amanalco there is a belief in small magical beings called Ahuakes which live in high mountain water ways. Cultural beliefs in tiny human entities with supernatural powers are found in other places such as in Ireland with its leprechauns, whose species and habitat in Cooley Mountains became protected under European Union law in 2011. A particular kind of spiritual illness called aigre can target young children via the gaze of an evil eye directed by powerful, envious individuals. The PowerPoint below depicts a typical kind of amulet worn by children, typically under 2 years old, to ward off this kind of attack. In the local etiology of susto as an illness, it is the shock which dislocates the soul and opens up a space for the spirit of a dead person to move into the body and reduce one’s vitality. As with aigre, the most typical healing begins with calming herbal teas and a ritual cleaning with herbs and occasionally whole eggs. If this is not successful the family may take the victim to an individual spiritual healer or one of the four small spiritual healing temples where a séance may reveal the spirit inhabiting the patient’s body. In the following video a midwife and traditional healer talks about her healing practices.